The problem is not that PIMCO founder Bill Gross made a $US290 million bonus in his last year at the firm, as Bloomberg reported Friday. It’s that his performance was abysmal while he made it — something you’ll see every now and again because of the way money managers get paid on Wall Street. You’ll hear that a lot on Wall Street, where money managers tend to take a percentage of whatever is in a firm’s money pot, however it got there. It’s a nifty way to get paid. But before we get into performance, lets put Gross’ bonus perspective. In terms of Wall Street pay, a $US290 million bonus is a fair amount, but it’s not unheard of. PIMCO, which Gross founded, is the biggest bond fund in the world with $US1.47 trillion in assets as of Sept. 30. It’s a huge deal to build a business like that. Gross, however, doesn’t crack the list of top 10 highest paid Wall Streeters in 2013. Those guys are all hedge fund managers. To make that list he would have to make at least $US600 million (along with Paul Tudor Jones, of Tudor Investments and Ray Dalio of Bridgewater). To take the number one spot, he’d have to make $US3.5 billion, like David Tepper of Appaloosa Management. On the other hand, Gross’ compensation makes the paycheck Wall Street bank CEOs take home look like child’s play. JP Morgan CEO Jamie Dimon’s $US11.8 million check? Goldman Sachs CEO Lloyd Blankfein’s $US19.9 million check? Peanuts. What I’m trying to get across here is that we’re talking about a whole different level of how people think they should get paid. Fund managers don’t just get paid for the money they make, they get paid for the money they manage. As CEO of PIMCO, Gross was technically overseeing the whole almost-$US2 trillion pot. According to Bloomberg’s report, 30% of PIMCO’s profits were up for grabs in the bonus pool. Since Gross was CEO, he got 20% of that. Outside his capacity as CEO Gross personally ran billions through flagship Total Return Fund. The problem is, that fund got completely spanked in the market over the last couple of years. In 2013 it got beat by 65% of its peers, in 2012 it was 90%. 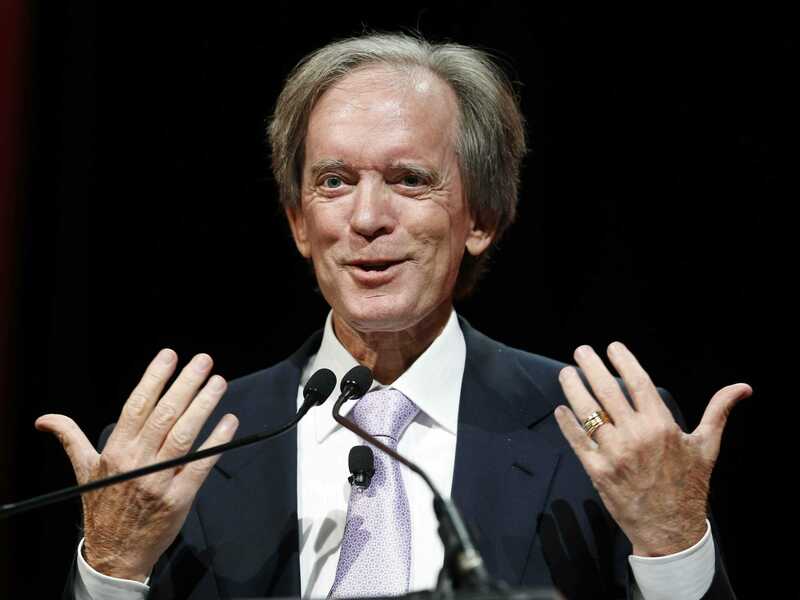 It was so ugly that people started to wonder what happened to Bill Gross. Earlier this year he took the stage at a investment conference to Rob Thomas and Carlos Santana’s ‘Smooth’ while wearing a pair shades. Things got weird. That said, when Gross’ behaviour became erratic, no one was really that surprised. He was always kind of a odd character. But on Wall Street, when you’re odd and making money you’re eccentric. When you’re odd and losing money, you’ve lost your mind. You can, however, still be very well compensated.